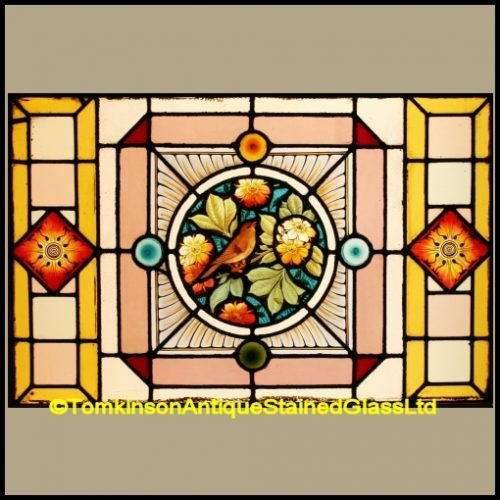 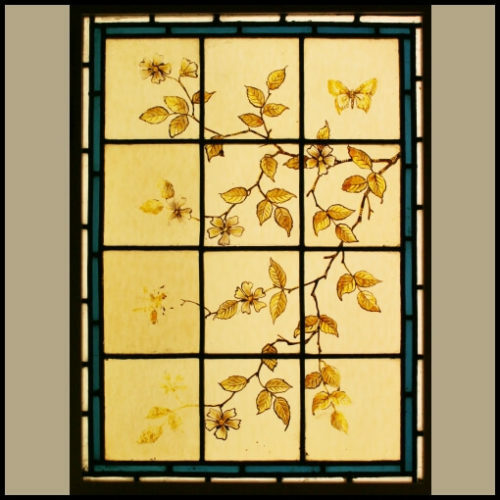 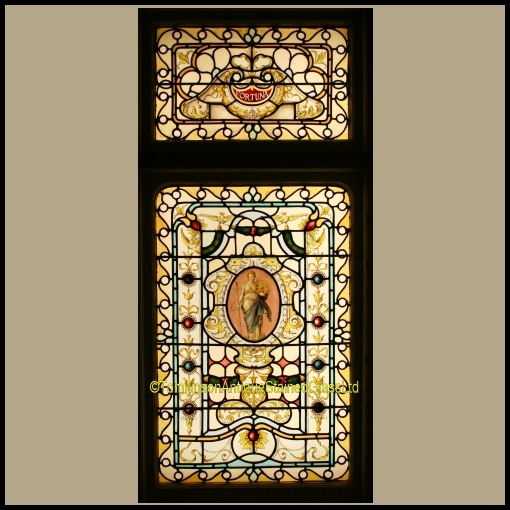 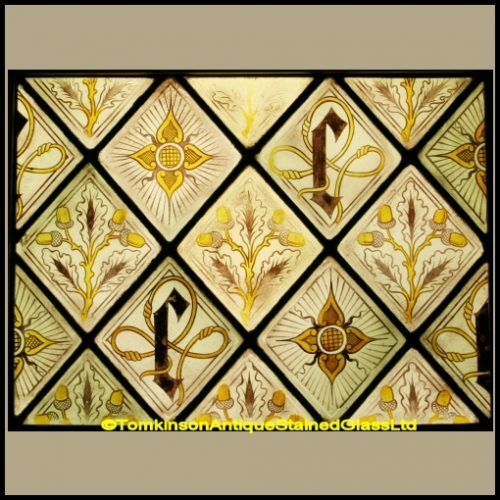 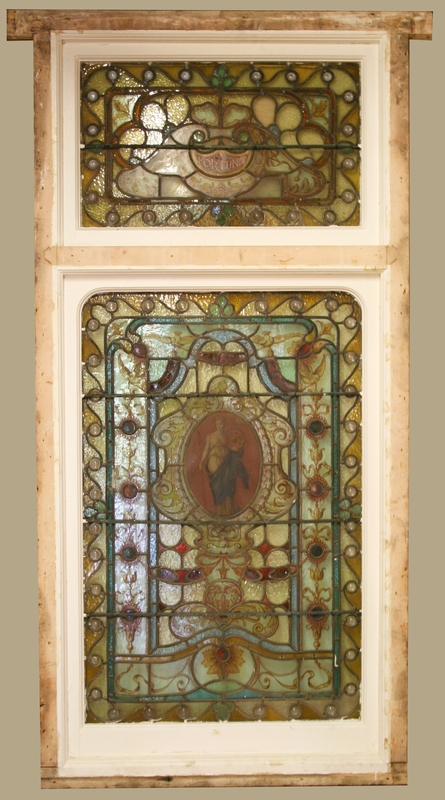 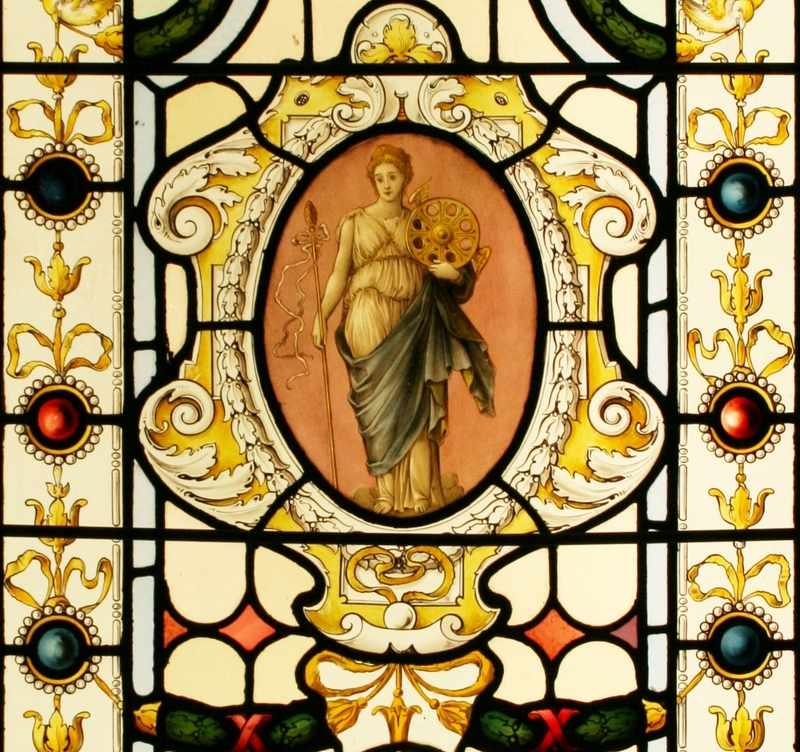 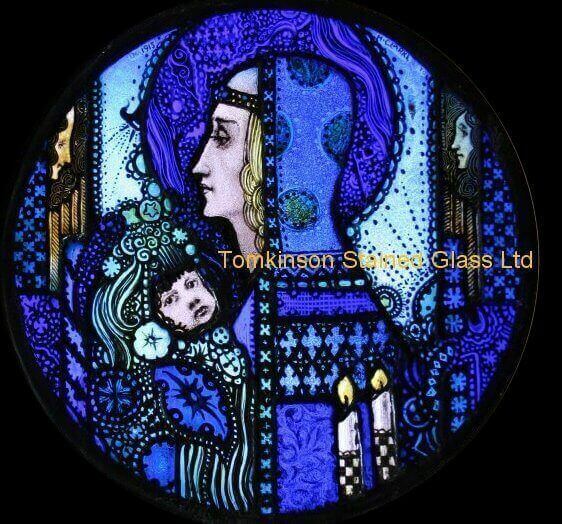 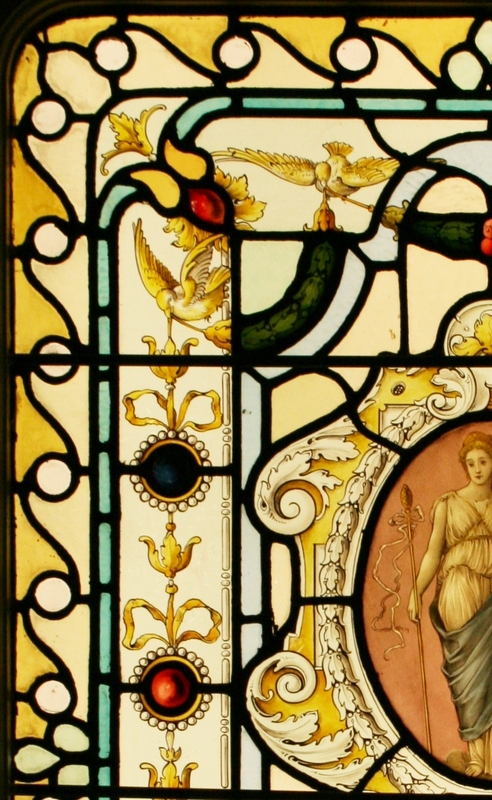 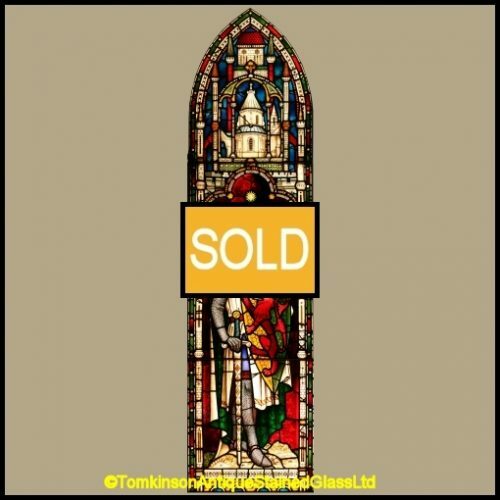 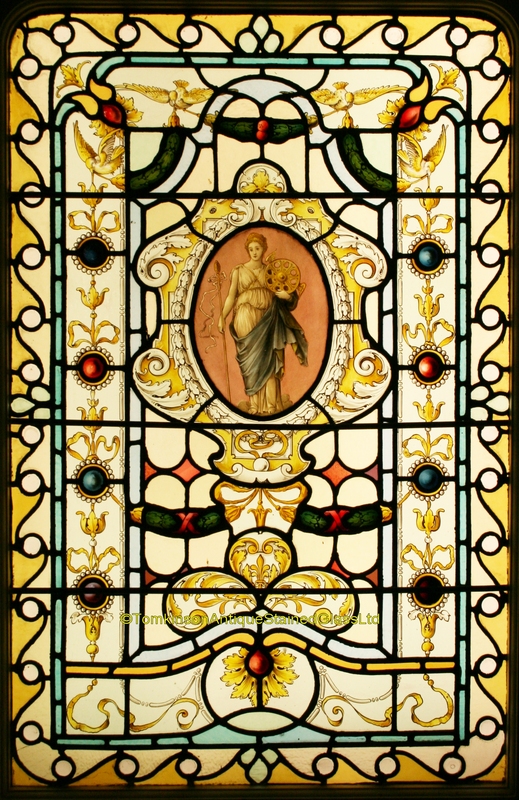 Large antique Victorian stained glass window with two leaded panels. 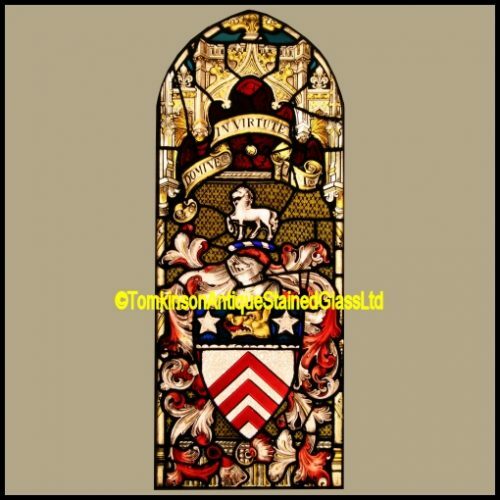 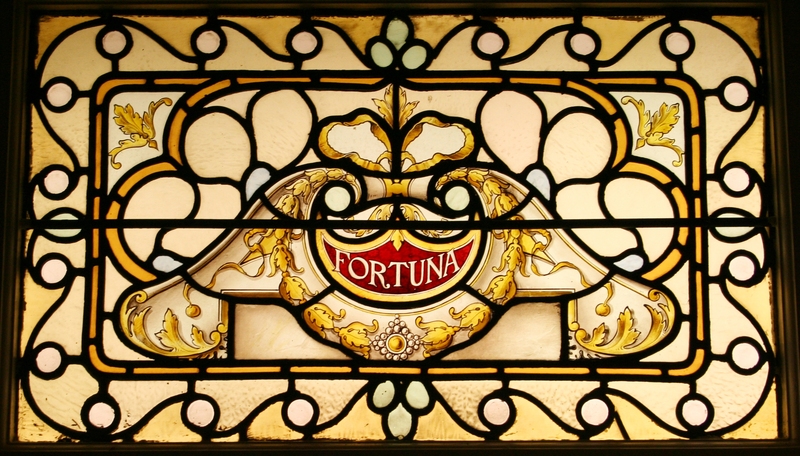 Lower panel has a central hand painted oval glass depicting Fortuna holding her wheel of Fortune, above are Birds holding swags and garlands. 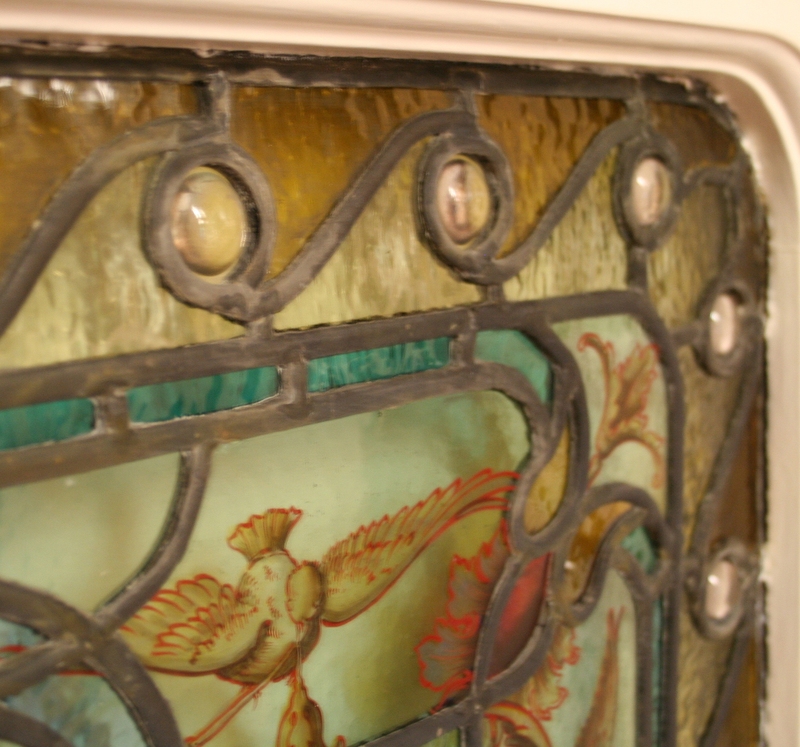 Also leaded with raised clear glass roundels. 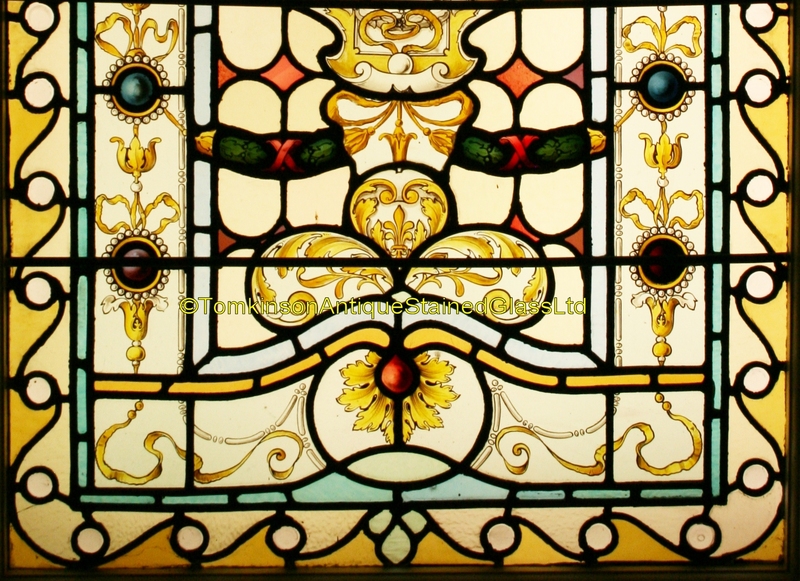 In excellent condition and in original pine frame that just needs sanding down and repainting.